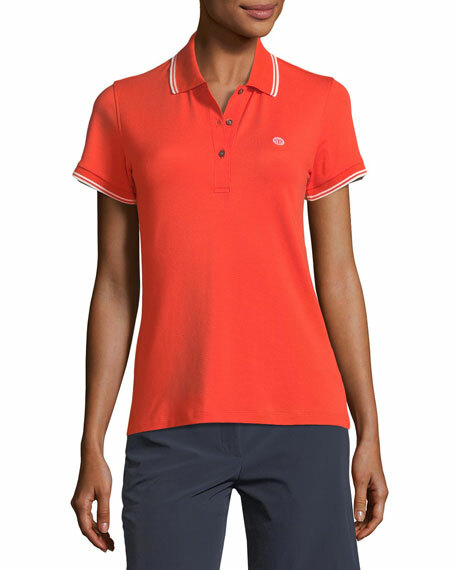 Tory Sport moisture-wicking, breathable performance polo shirt with contrast tipping. Approx. 24.5"L from shoulder to hem. "T" logo detail at left chest. For in-store inquiries, use sku #2168103.